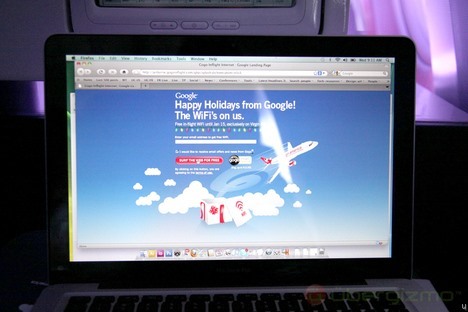 If you're flying AirTran Airways, Delta, or Virgin America over the holidays, Google has teamed up with the aforementioned airlines to offer free in-flight wi-fi from November 20 to January 2, 2011 on all domestic flights. Why? Out of good will and holiday cheer, of course (plus promotion for the Google Chrome web browser). Just bring your laptop and log in. Thanks, Google!